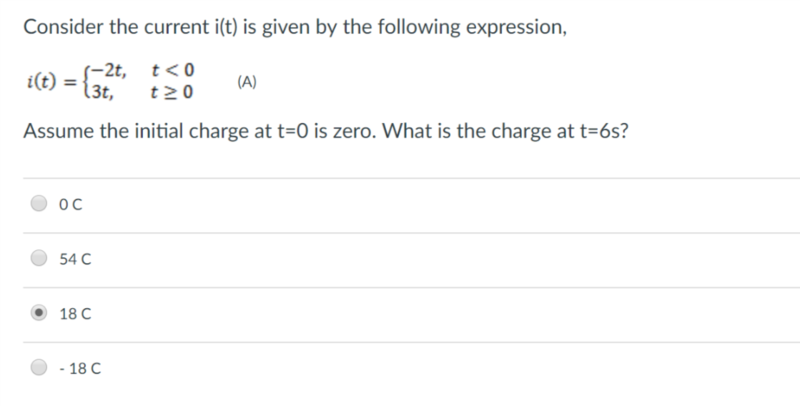 To determine: what is the charge at time t=6s. After time t > 0 current is 3t A. The intial charge at time t=0 is zero.